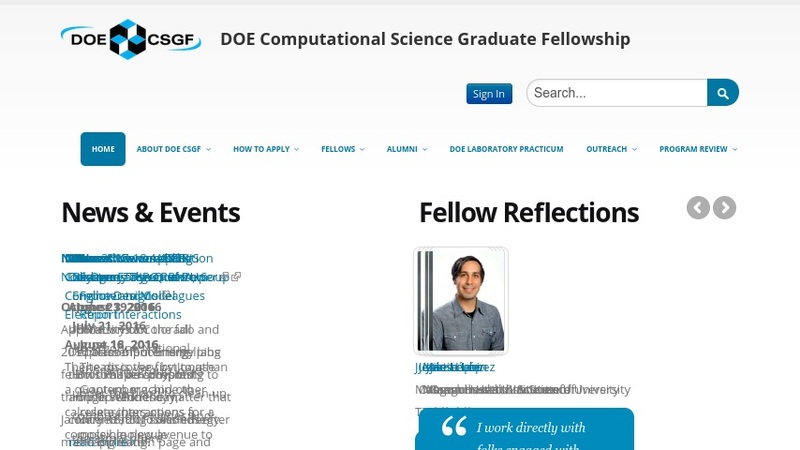 The Department of Energy Computational Science Graduate Fellowship (DOE CSGF) program provides outstanding benefits and opportunities to students pursuing a PhD in scientific or engineering disciplines with an emphasis in high-performance computing. Funded by the Department of Energy Office of Science and National Nuclear Security Administration, the DOE CSGF trains scientists to meet the nation's workforce needs and helps to create a nationwide interdisciplinary community. The fellowship provides support and guidance to some of the nation's best scientific graduate students, and these graduates now work in DOE laboratories, private industry and educational institutions. Over 250 students at more than 50 U.S. universities have trained as Fellows, and the demand is only growing.